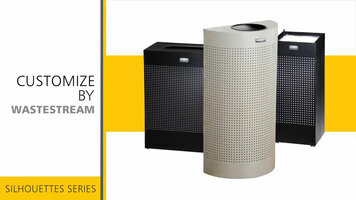 Rubbermaid Commercial Products's Decorative Refuse collection is designed for commercial environments. It features sleek and contemporary designs that are sure to appeal to modern establishments. Thanks to its fire safe stainless steel construction, these practical trash cans are made to last. The durable material is also both stain and corrosion resistant. Designed to meet regulatory standards, this trash can line can be customized to suit your specific needs. The line has earned LEED certification credits and is 100 percent recyclable, guaranteeing its pursuit of sustainability and its ability to comply with legislation. 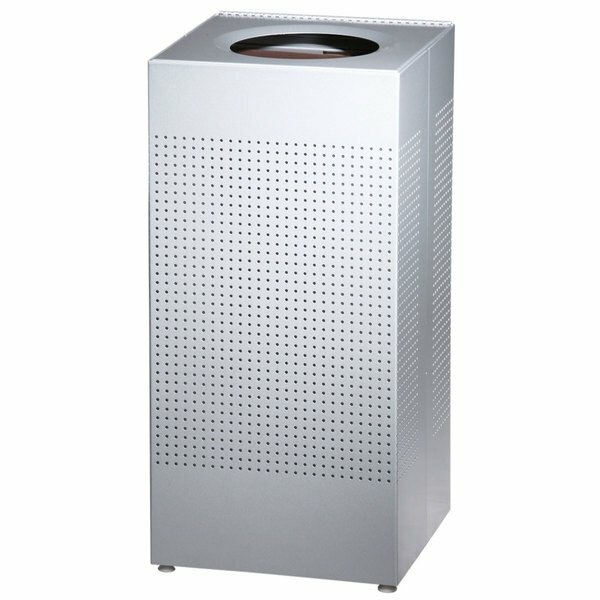 Capable of use both indoors and outdoors, these trash cans can be discreet or bold, depending on your preference. It also boasts over 1000 shapes, styles, and designs, in addition to over 230 colors and a variety of sizes ranging from 2.5 to 65 gallons. The decorative refuse collection is designed specifically for your vision! Learn more at rubbermaidcommercial.com/customize. 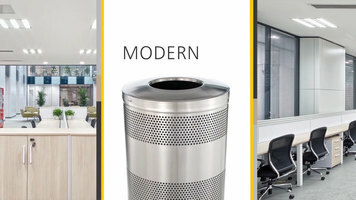 Rubbermaid's Silhouette series waste receptacles are made to blend in seamlessly with modern indoor environments. They're customizable by waste stream and available in 12 sizes in over 230 colors to meet your needs. Rubbermaid's Silhouette series waste receptacles feature stylish forms that will blend in with any modern decor. Not only are they customizable, they're also available in 12 sizes so you can pick one that that best suits your facility. The Rubbermaid SC14E silver metallic designer waste receptacle from the Silhouettes line combines a clean, modern look with durability and convenience. This 24 gallon designer waste receptacle is built to last with its heavy gauge, fire-safe steel construction and durable powder coated finish. A 16 gallon, leak-proof rigid plastic liner comes with the receptacle to extend the life of it, and the convenient hinged top makes maintenance quick and easy. The Rubbermaid SC14E 24 gallon designer waste receptacle comes standard with leg levelers for stability and is made of 30% post-consumer recycled content.